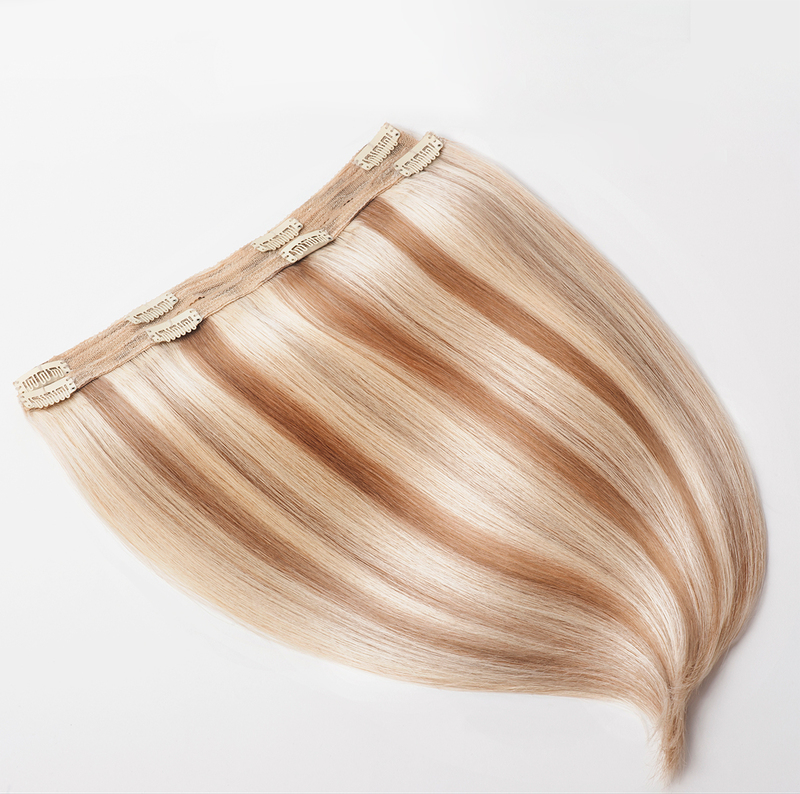 Get luxurious locks in an instant with Extension Professional 100% human hair clip-in hair extensions. 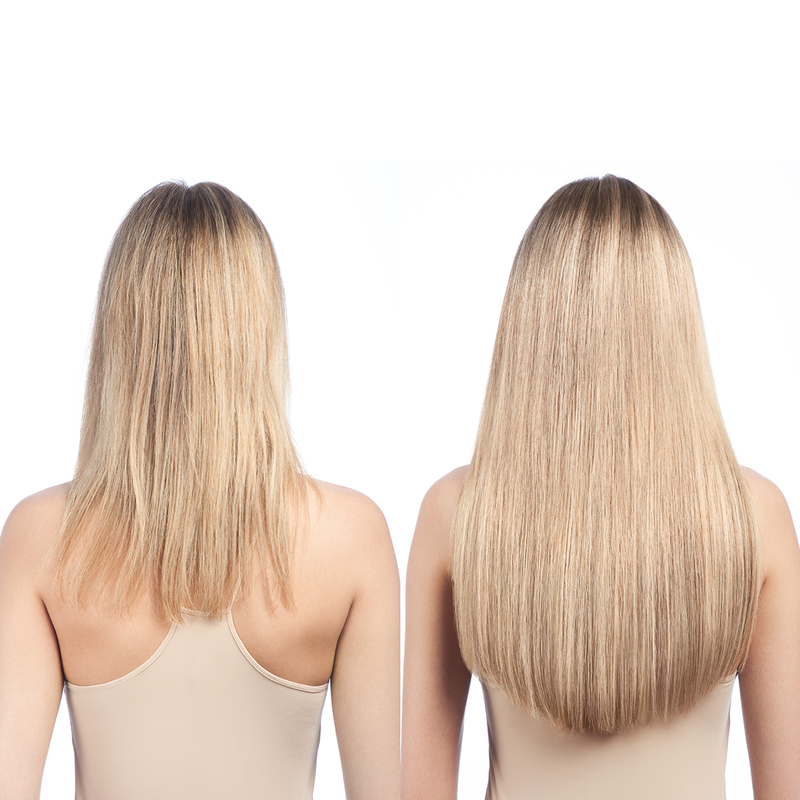 Offering enviable volume and extra thickness, they boast a ‘swishable’ length with an undetectable finish. Created by company founder and hairstylist to the stars Louise Bailey, this range has achieved cult status amongst its celebrity following. Crafted from luxury, high quality, ethically sourced human hair, Extension Professional products feature a double-bar design with 150g of hair layered over two easy-to-use wefts for a seamless blend. With comfortable clip-in attachments, the Extension Professional range won’t damage your own hair and the easy removal mechanism lets you decide whether you wear them every day or just for special occasions. STEP 1. 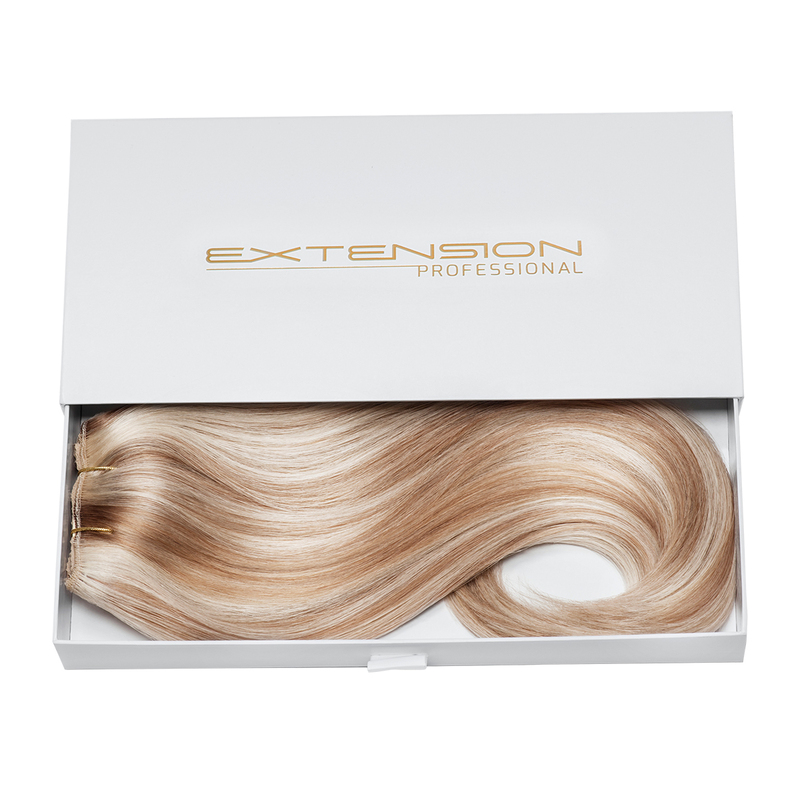 Remove clip-in hair extensions from packaging. For maximum volume, wash and blow dry before use. STEP 2. Brush your own hair to remove any knots. STEP 3. Using a tail comb, section hair neatly below the occipital bone in the shape of a horseshoe. Clip the natural hair securely out of the way. STEP 4. Backcomb the root area where the clips will sit. Spray area with a little hairspray. STEP 5. Attach piece 1. This piece has the wider width of the lace. STEP 6. Release hair from clip. STEP 7. Take section 2. This should be approximately 1 inch higher than the first section. Repeat step 3. STEP 8. Attach piece 2.